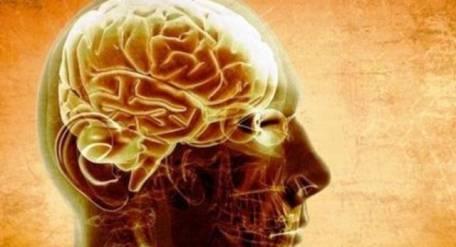 Traditional brain surgery works by drilling into the skull and then accessing the gray matter. If the part to be accessed is located at the bottom, more drilling is carried out. 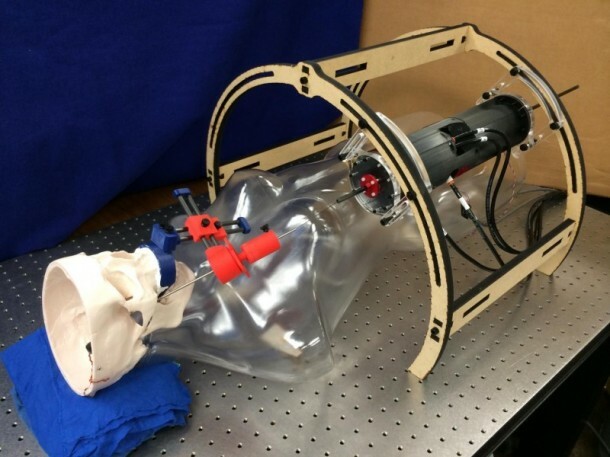 Engineers from Vanderbilt University have designed a surgical robot that makes use of another point of entry, the cheek, thus finding an alternative to drilling in the skull. The inspiration came from the through-the-cheek technique that neuroscientists use when implanting electrodes in the brain to monitor brain activity and find the source of epileptic fits. 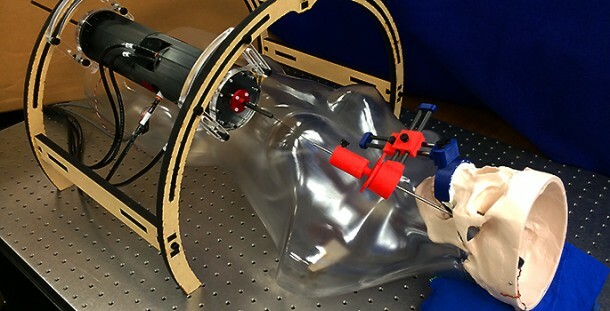 This approach led Associate Professor of Mechanical Engineering Eric Barth and the team to make a robotic device that can enter via the patient’s cheek thus allowing for a less invasive approach to accessing the desired area while avoiding drilling into the skull completely. The prototype, now working, has been developed by the team and it has a 1.14 mm needle made from nickel-titanium, which is compatible with MRI. The needle works like a mechanical pencil. Compressed air is used to allow the needle to advance 1mm each time. The robot steers the needle because of the concentric tubes that are curved. This allows the needle to follow a curved path leading to the brain. The surgeons are able to monitor the position of needle by carrying out successive MRIs. 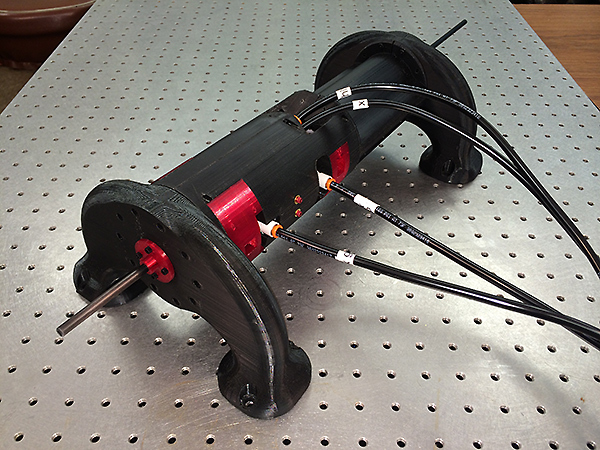 David Comber, graduate student of Mechanical engineering who is credited for most of the design, shared that the accuracy of this new approach, measured in lab, is better than 1.18 mm that is considered accurate enough for surgeries such as this. In order to keep the manufacturing cost low, the company has designed the robot in a way that most of it can be 3D printed. Barth speculates that this technology will be available in hospitals within the next ten years while the team is preparing to move to testing phase where the robot shall be performing on cadavers. 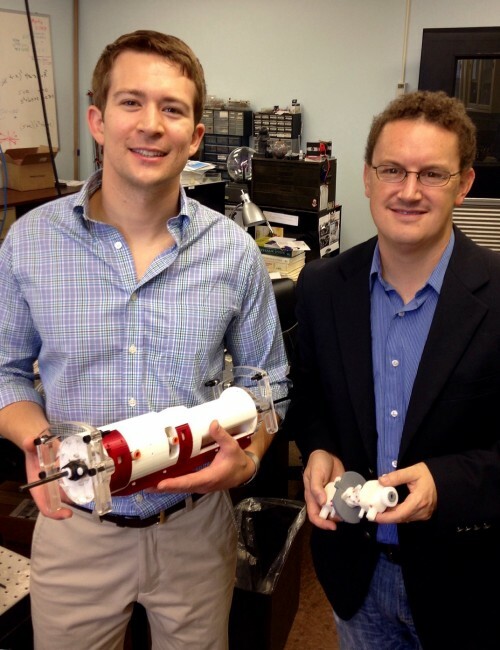 The prototype was displayed by Comber in a live demo given at the Fluid Power Innovation and Research Conference in Nashville.